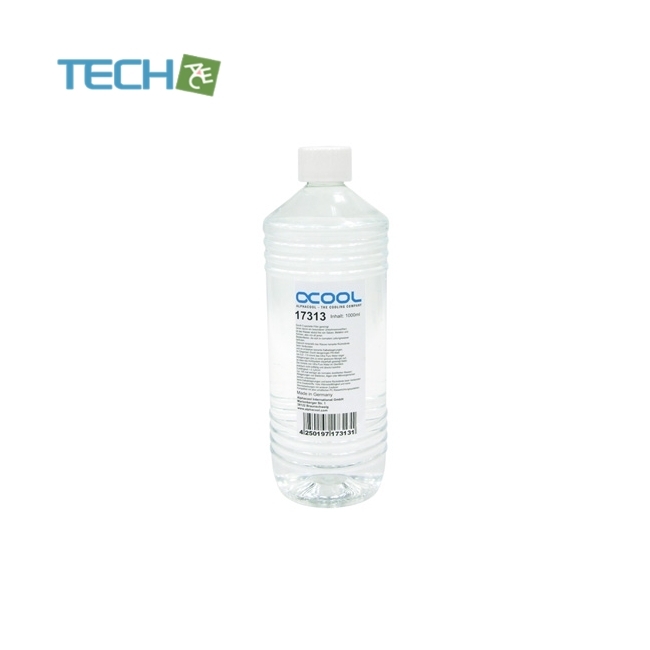 This extremely pure water made just for Alphacool directly from a high-grade reverse osmosis system. Cleaned with 5 special filters (one of which is a special reverse osmosis filter) the water is absolutely free of salts, metals and contaminants which are in tapwater. The treatment removes virtually any contaminants and unwanted substances in the water. Hence the water leaves no stains when evaporating and no lime scale deposits form.